Makeup Revolution is starting to get noticed more and more in the beauty community, I personally love it because of its affordability and quality. This brand is knows to do dupes for high end products like Hourglass Too Too Faced, Lorac etc. Since I have been using and loving their products for long time I wanted to make small reviews for anyone who isn't familiar with this brand or just wants to get new makeup. Packaging: I think this is the most useful packaging there can be as you can see exact color on the lid.They do have different lipsticks in different packagings. Color: Left to right--Enchant, Felony,Atomic Serpent,Immoral. They dont dry out the lips only thing with these lipsticks they dont last that long and you have to reapply them often if you eat or drink but I like the unusual colors, of course they have normal every day use colors too but since Ive loads of lipsticks I never bother getting them. That is actually one more thing Makeup Revolution does sales and offers all the time on different products each time. This was my least fave product even tho the color is gorgeous it didn't look that great on lips after a while and dried them out so I never use this anymore. This is Makeup Revolution I heart line. 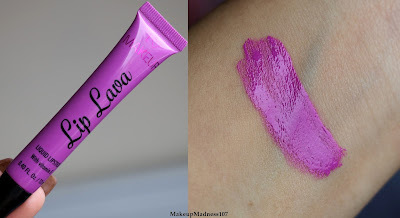 I love love love this lip lava and will at one point get all of the colors, it is smooth like butter on the lips and lasts for long time, as well as it has Vitamin E in it, so it moisturizes lips. 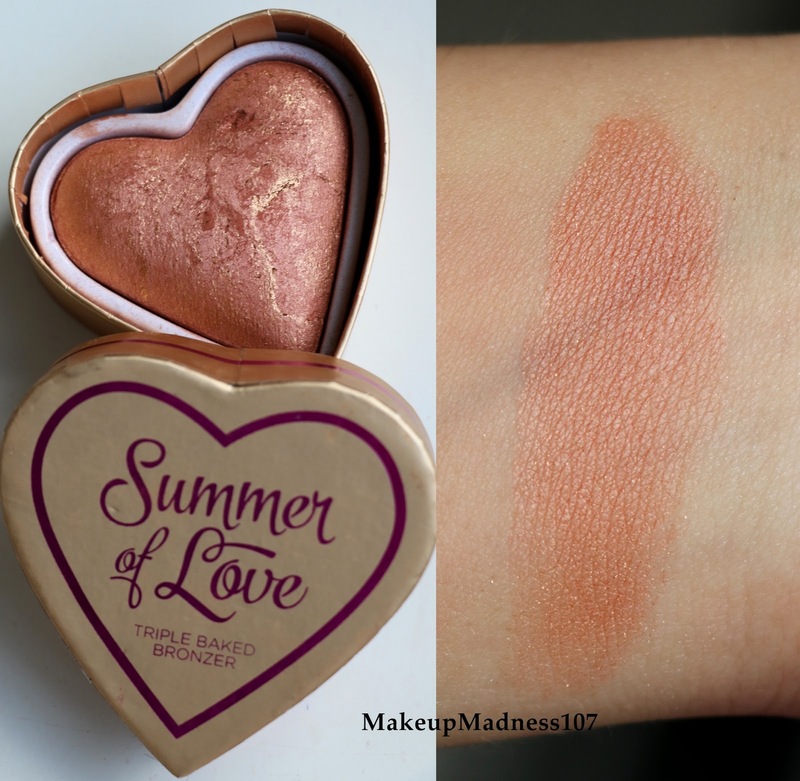 This is meant to be a dupe for Too Faced melted lipsticks and it sure is as I won the Too Faced one too they are the same in quality. I am not a blush person but I love these they have sheen to them, amazing for people with dry skin or as a blush topper for glowy look,but be careful not to drop these since they are really soft they brake fast I had 6 of them but shattered one. The packaging is small so it doesn't take up a lot of space as well as you can see trough it what color it is. Blush it self is pigmented, blends well stays on all day, is slight powdery but for the price you cant beat it, they have a lot more colors as well. This pallet is amazing even tho I don't use blush often I always take it with me when I do other peoples makeup It has various colors that will suit everyone as well as 2 highlighters, color pay of is great ,blends well and stays on all day. This makes a great gift for any makeup lover. This is the highlighter pallet that it includes, same quality is great. Brushes are soft , works perfectly fine with powder products. Anyone who loves coral and orange blushes this pallet is a must and it has 2 highlighters in it, there isn't anything I could complaint about in terms of quality, another affordable good quality product. I have medium skin color so this shade is too light for me. 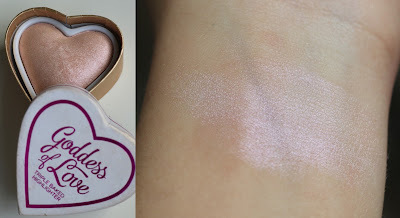 It has beautiful sheen to it anyone with dry skin should love this as it will add stubble glow to the skin without having to use highlighter. 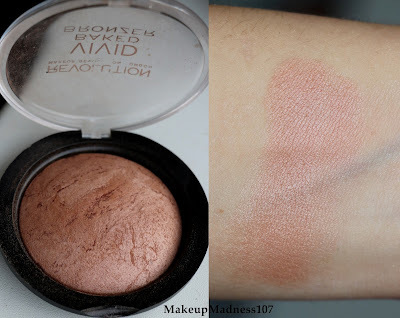 I don't use this the color for me is off as well as it is quiet shimmery I would use it only all over my body to give a shimmery bronze look. For all of my girls and boys who are obsessed with highlighters like I am you need this in your life there are no other words it has so many colors and looks gorgeous on the skin as well as I take it everywhere with me since this suits lot of skin completions. Even if you are just starting out with makeup get this pallet and you will be covered for long time,and any situation. This makes amazing gift for any makeup lover. I don't like this, it is gorgeous to take pictures off, or look at but when you use it with brush it isn't that pigmented, someone who loves really subtle highlight may like it or use it to dust over body when you are going out or to the beach to give yourself small bit of glow. 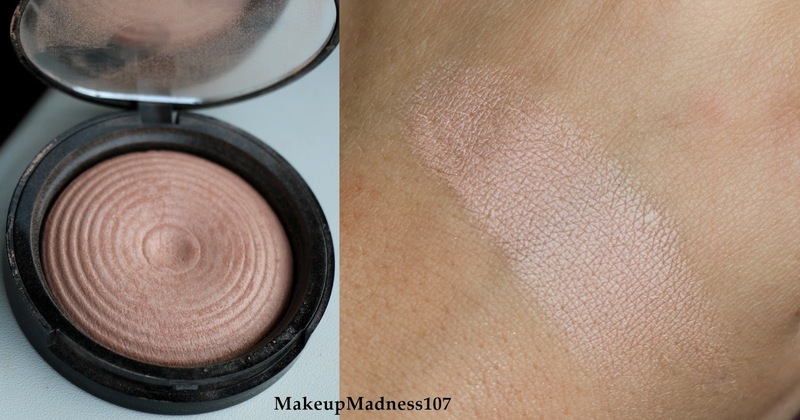 Formulation of this is really soft, it feels like velvet on the skin, this wont be in your face highlighter but I still like it as it looks gorgeous on the skin for natural look, or if you have dry/dull skin dust this over your face to give it a lift. They have 2 more colors and pallet that contains all 3 colors so instead getting the rest 2 full sizes I got the pallet. Vivid Highlighter in Pink Lights. This highlighter does something to your skin I mean every time I wear this I have received compliments how my skin is looking better or it looks really good, and even tho have been using this highlighter crazy you can hardly tell it has been used much,this is 100%a must have for me, so I got the pallet with the other 2 colors. Heavenly is a gorgeous highlight shade, I don't really like having a lot of individual shadows so I just got these 2 to try,and they are good quality. This pallet is supped to be a dupe for Too Faced Chocolate pallet as well as Makeup Revolution has another 4 Chocolate pallets that I'm planing on getting , this is by far my fave pallet from them. Colors are gorgeous, pigmented, smooth, and blends really good, there isn't too much fallout either so if you are getting an eye-shadow pallet get this one. Makeup Revolution Salvation Pallets on Iconic Pro 1(top pic) and Iconic Pro2 (bottom pic). Both of these palettes are really really good quality as well, smooth, creamy, pigmented and don't have lot of fallout as well as blends well, they are my 2nd fave in quality wise.They come with a plastic shield that has name of each eye-shadow so if you are doing a look you can say precisely what colors you used. They are supposed to be a duple for Lorac pro pallets but since I have not tried them I cant tell. If you are lacking in matte shadows get this pallet it has some amazing transition shades and all of the colors are matte, this is perfect for beginners. It comes with a plastic shield that has name for ever color. The 32 shadow pallet don't have a lot of product in them but the color selection is great for someone who loves natural eye makeup as well as they have a lot more options of the 32 shadow pallets to chose from the quality of these 3 i have is really good for all of them. 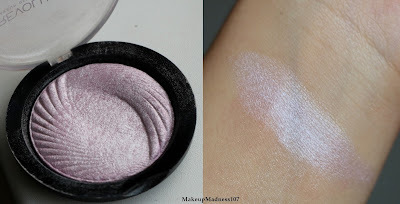 If you dont use color in your eye makeup this pallet is really good way how to start doing it and experimenting and even if you don't end up using it you didn't waste over 30euro for an eye-shadow pallet. Even tho this is one of the cheapest pallets they have the shimmers are really good for adding a bit of bling to your eye makeup. They also have Essential mattes pallet. All of the 3 pallets above are supposed to be dupes for the Urban Decay Naked,1,2 and 3. I don't use these I got them to see if I will like the color scheme before purchasing the naked pallets and I don't. I never use them Im lucky I tried these before spending over 90 euro on 3 high end eye-shadow pallets. I see a lot of people(mothers) ask in makeup groups that their 8-10etc daughter is asking for makeup to play with but they don't want to spend 30 euro on pallet to get ruined well then these are the perfect pallets to get for a child to mess around. The shimmer shades in these pallets are better quality than the matte ones. I also had their setting spray but I wasn't a big fan of it even tho a lot of people love it. None of the makeup have been sent to me and I did buy it with my own money.